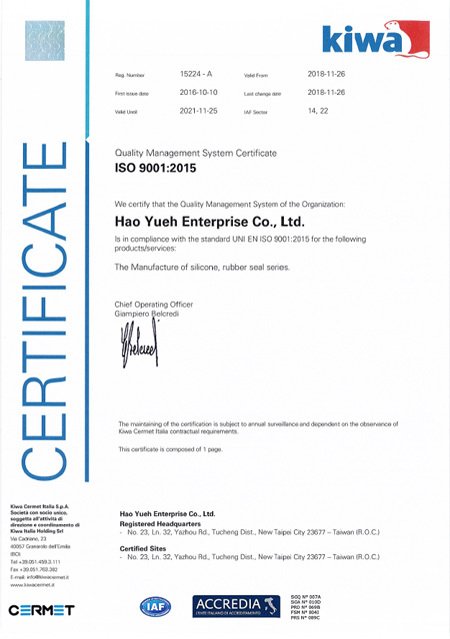 Hao Yueh Enterprise Co., Ltd. Was established more than 30 years, has been committed to the development of automobiles, motorcycles, electronics, electrical appliances Industrial silicone rubber products. Response to social change and progress of the times, our equipment owned from the first manual rubber compression molding machine, so far, has been upgraded to fully automatic injection molding machine, in order to meet customer requirements for product quality, the establishment of a higher quality, higher standards of corporate competitiveness. 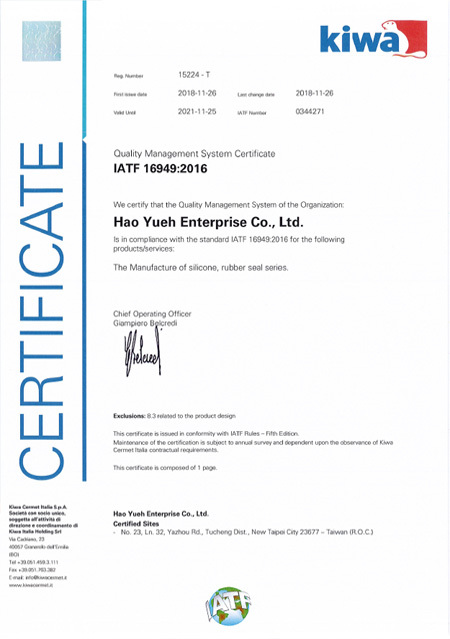 We have started to perform ISO/TS16949: 2009 quality system certification. Our company will keep on upholding the principle of "quality, professional services to meet customer’s demand and making good-quality and punctual delivery guarantee. Except the above, we can develop new products and making new mold, than arrange mass-production for customers.